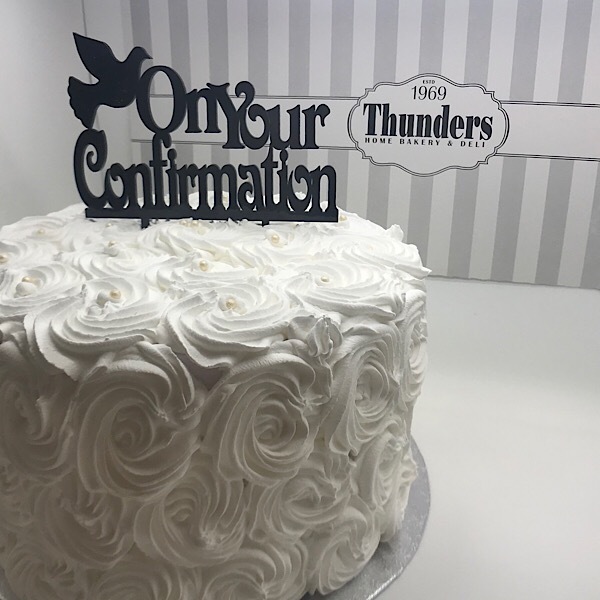 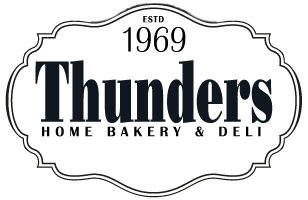 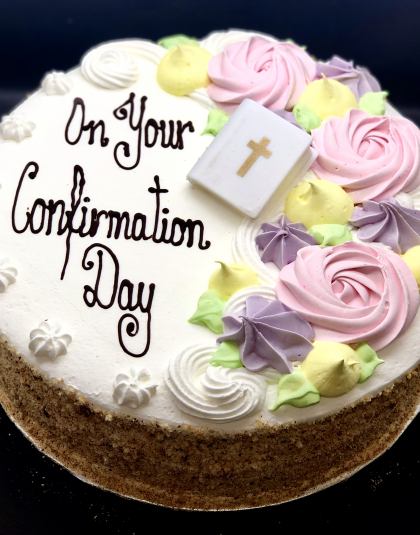 Thunders home bakery have a range of bespoke communion cakes to suit every child. 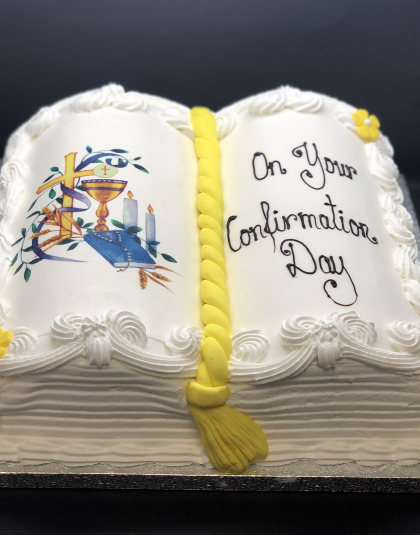 Communion book cakes and dolls are made with our sponge and finished with a combination of buttercream royal icing. 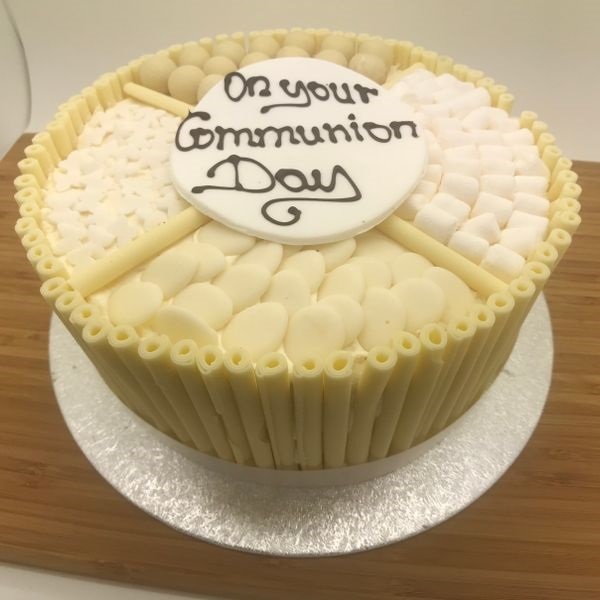 Our fabulous communion cake is finished with Royal icing and an acrylic topper.